All golfers need to improve their performance. But unless you know your exact weaknesses, itâs tough to know how to focus your practice. 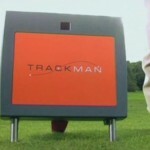 The Trackman Combine ends the confusion by clearly showing golfers their shortcomings. No wonder itâs one of the most popular advanced technologies available toÂ Old Palm Golf ClubÂ members in theÂ Golf Studio. âTrackman Combine establishes a baseline to gauge improvement in a structured manner,â saysÂ Bud Taylor, Director of Golf. âIt identifies weaknesses, so members can work on those specific areas of their games.â Trackman Combine is a test of 60 shotsâsix shots at 10 different targets of varying lengths, starting at 60 yards. Each shot is scored on a scale of 1-100 depending on how close it is to the target. The technology takes variables such as wind, temperature and ball type in consideration when comparing a golferâs performance during different sessions. Following the test, the Trackman Combine quickly computes a score that shows the shotsâ average distances from each target. The score presents exact details so golfers know at which distances they are the most accurate and inaccurate.